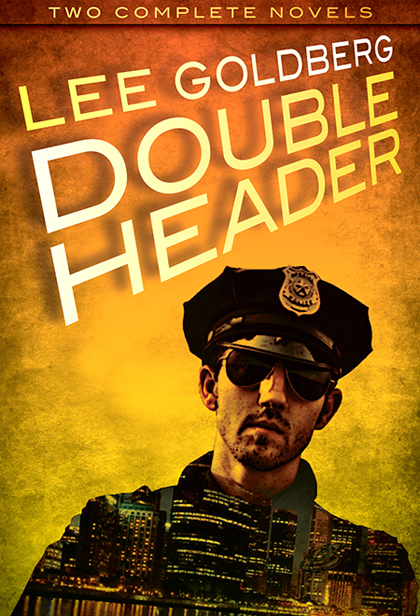 Now, for the first time anywhere, both of Lee Goldberg’s widely acclaimed “Charlie Willis” crime novels — My Gun Has Bullets and Dead Space — are combined together, complete and uncut, in one incredibly low-priced ebook. When Beverly Hills Police Officer Charlie Willis pulls over a speeding Rolls Royce hell-bent for Neiman Marcus, he’s surprised to see Esther Radcliffe, the geriatric star of the TV series Miss Agatha, behind the wheel. He’s even more surprised when she guns him down and keeps on driving. A few hours later, he wakes up in the intensive care unit…to find a William Morris agent, a network president, and the head of Pinnacle Studios standing at the foot of his bed. They have a proposal for him: in exchange for conveniently forgetting who shot him, they’ll make him the star of his own series, “My Gun Has Bullets.” So Charlie trades in his real badge for a fake one…and so begins an uproarious but deadly romp through the wonderful world of TV make-believe…with real bullets. Ex-cop Charlie Willis handles “special security” at Pinnacle Pictures. His job: to protect the studio and its stars, to stop scandals before they explode, to keep the peace in the land of make-believe. When Pinnacle revives the cult, 1960s TV series Beyond the Beyond as the cornerstone of a fourth network, two powerful forces fight for control of the show–a talent agency that uses blackmail, torture, and murder to keep its clients on the A-list, and a homicidal legion of rabid fans led by an insane actor who thinks he’s in outer space.